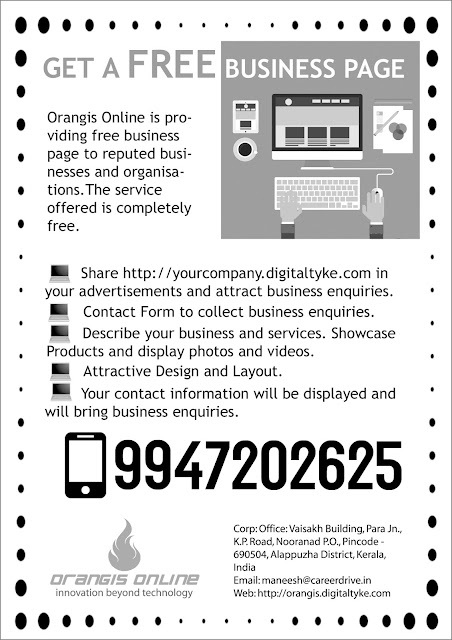 Orangis Online is providing free business page to reputed business. This program is in addition to our "DESIGN FREE WEBSITE" program which helps small businesses and ngos with three page html css website. Bring more sales enquiry via contact form and contact details listed in the page. We will showcase your business information.